When the game Journey first came out it was years ago exclusively on PS3. Time has passed and it had been released on PS4. First thing that struck me was how simple everything looks and feels. It gives somehow relaxing and free feeling. There is no HUD, minimap, life gauge… nothing on the screen except the main character: you. I don’t know who this character is or what is his/her’s story but seems like the story is only just begun and you were born at the second the game loaded. You’ll go on mystical adventure that makes you feel lots of different emotions (if you have any, or course). There is also option of tilting the camera by tilting your controller. At the very beginning you can only run and jump but quickly you’ll discover another move which is little bit hard to explain; you can hit the calling button and the flying papers/flyers can come and charge you up so you can glide. The glide amount is specified how long your ribbon is. 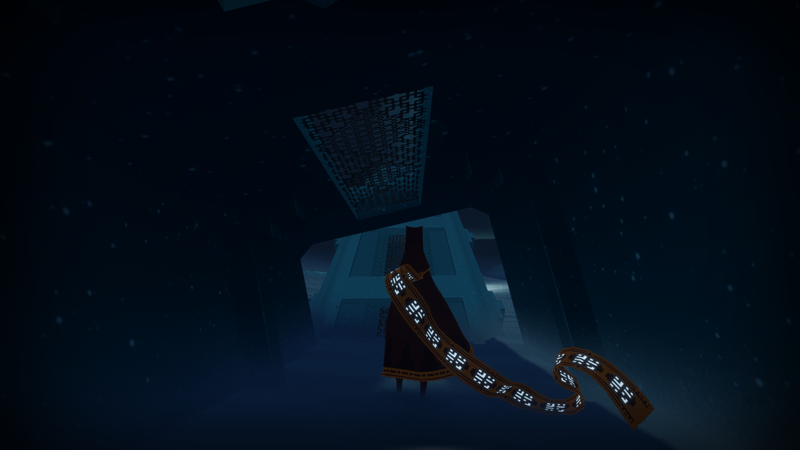 You can lengthen the ribbon by collecting glowing symbols that are hidden throughout the game. 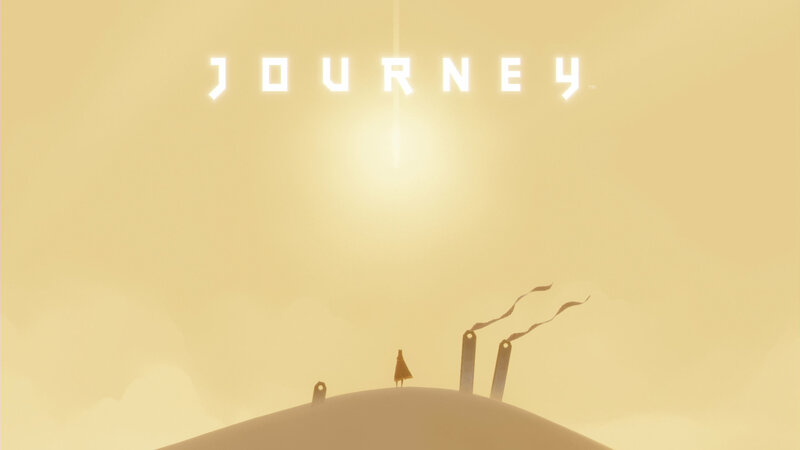 What is the story of Journey? That I do not know and feels like it is everyones’ own answer to be discover. But what I can tell is my journey, my story. My journey started with my character sitting on a sand dune in the middle of a desert. He sees a what seems like a shooting star and it lands to a mountain that is in the distance. With moving my controller or pressing that joystick the character rise up and starts moving onwards. Right in the beginning it feels like I need to go to that mountain and that is my journey’s destination. At very first it seems like you are middle in nowhere but soon you’ll find some broken structures and those flying flyers that will load up your gliding gauge. While you go onwards you’ll find more these paper creatures and you’ll come to the first area that need to be solved for you to make it forward to the next area. With gliding, running, sliding down the sand dunes like a surfer, avoiding enemies collecting things and greeting other players I finally got to the end. My end. 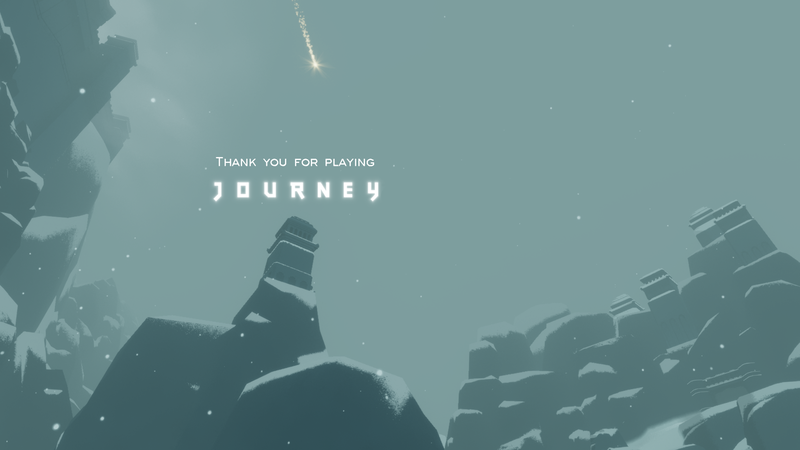 It’s little bit unclear what the end is and I’m not going to spoil you about it but then the question comes clear: what is the story of Journey? To answer this question I might say it’s not the destination — it is the Journey. 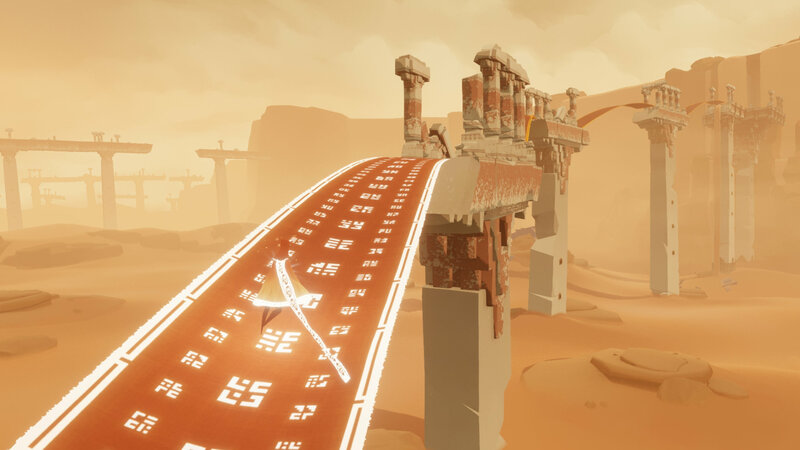 Music is beautiful in Journey and it will makes the whole experience more vivid and exciting as it changes throughout the gameplay. There are sound effects that your ‘calling’ move will do, or NPCs does something very minimal sounds. This makes the game even more cryptic. 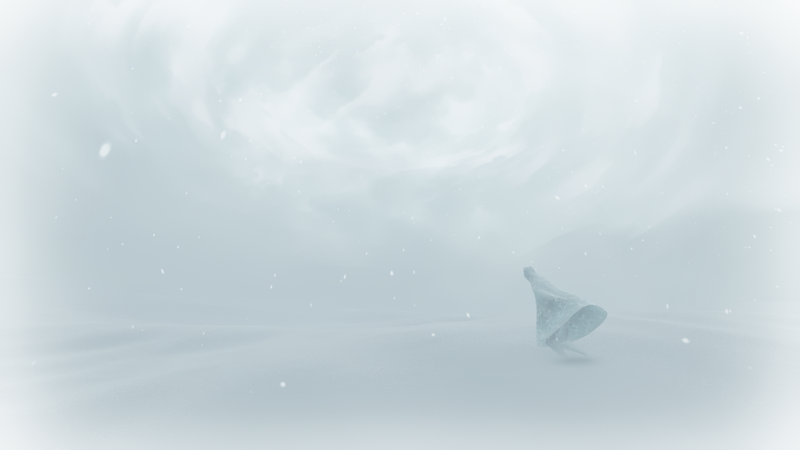 Journey’s art style is gorgeous and simple. Colour pallet is mainly browns, yellows and oranges which is how I imagine what desert looks like. With price tag of 14,95€ this game is must have. Be aware though that this game is no long, approx. 1.5 / 2 hours, but it is totally re—playable and collecting all the secrets might take you a while. 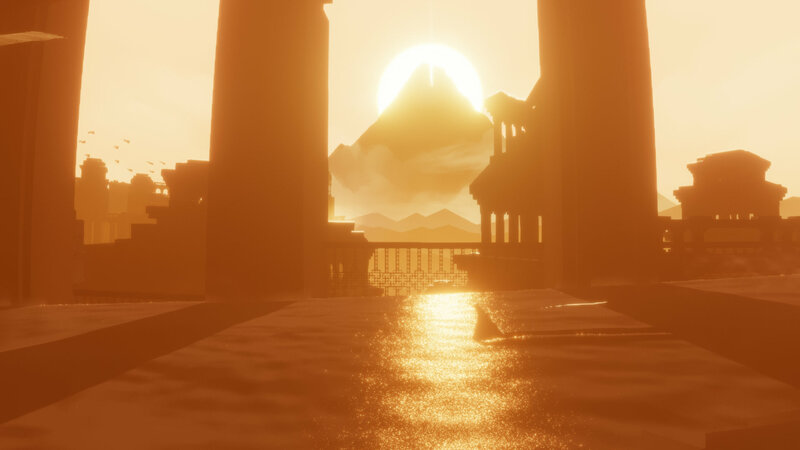 Journey is unique, emotional and extraordinary piece of art. not the destination — it is the Journey.